Votes go in the comments, or however you like getting them to me. As always on this interactive online entertainment, purely anonymous votes are not counted. Specific votes that are explicitly based on, um, extravexillogical factors are cheerfully tossed out as well. 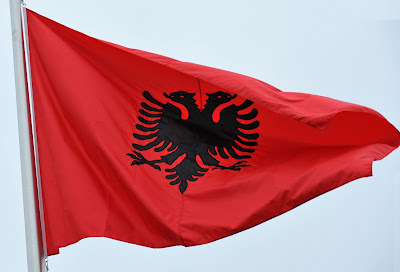 Albania: don't tell my Greek girlfriend... but I still love that double headed eagle. Sweden: I like your flag Cuba, but Sweden's colors just draw me in. Really??? I'll say Finland but it's getting knocked out next round... I hate these bi-color cross flags. BO-RING! Japan... so simple and yet so powerful. BAM! Land of the rising sun baby. Now a TRI-color cross... that's more interesting. Iceland.... even if it looks like it's trying to be GB. 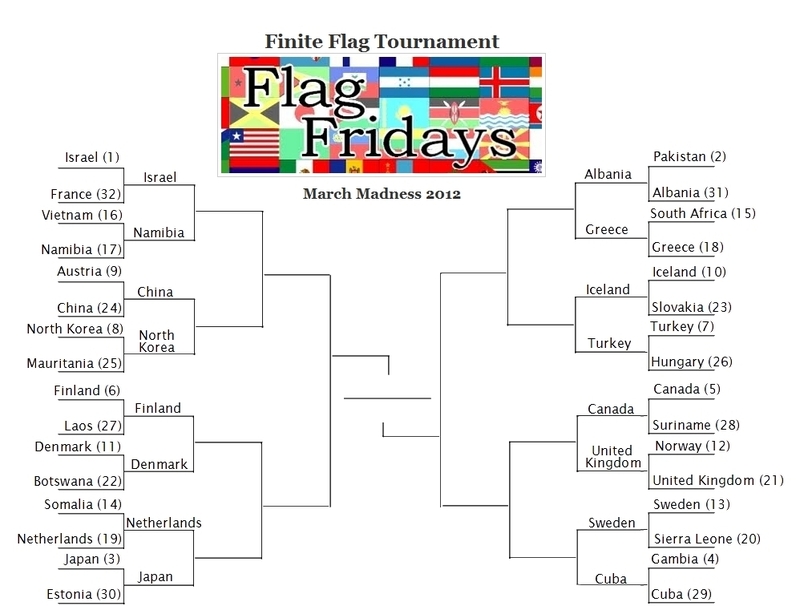 Oooohhh... tough one for a first round, I like them both, and would have liked to have seen them both knock out a few uglier flags before competing against each other. Soooo tough. I love Canada's flag for it's simplicity and easy identification, but I'm going to have to vote for the UK for that special za za zing. I feel like they don't even need explaining. Simple, iconic, good-lookin', all of them. Israel. Recognizable, good use of simple colors. Close! China for being recognizable. Japan for being distinguishable from Luxembourg and Russia. Albania for sweet double-headed eagle thing. Close! Iceland for the outline on the cross. Close! Canada for less clutter. Sweden, for being better than Cuba. Last round I pulled for France of Israel, with the knowledge that Israel's flag could beat almost any other. 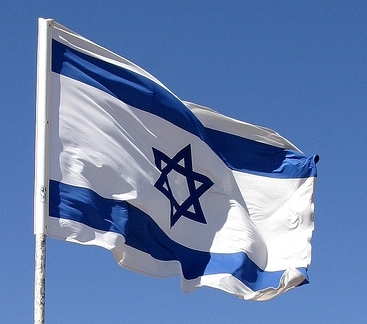 Namibia's flag is vibrant, but as I previously observed, Israel's flag is probably the best new flag design in modern history, because of its excellent use of two strong, clean colors, and a powerful national and cultural symbol. Israel it is. Two excellent flags. Really, the DPRK flag has great lines. The white fimbriations really make it 'pop'. However, it doesn't really work vertically. 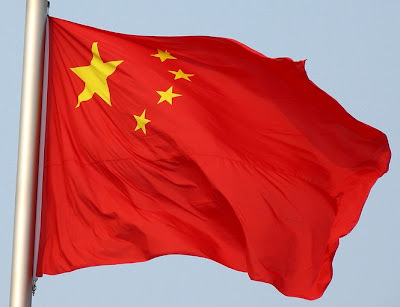 The national symbols on both flag are also fairly tame, though China has more. I'm going to go with China. It has a strength to it, and conveys the communist theme better. 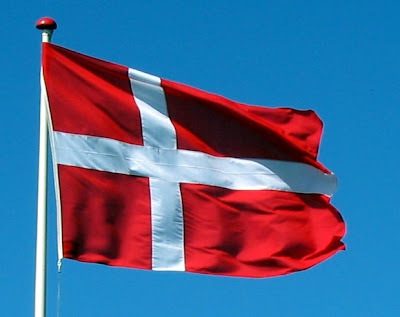 But, the Dannebrog wins me over again. That red is just so great against the sky. 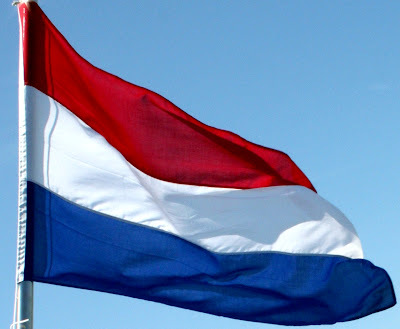 If the Dutch flag were orange-white-blue it would have my vote. But since red-white-blue is such a heavily used national color combo, I'm going to have to vote for Japan, since there is nothing nationally significant in the Dutch flag that matches up. Greece has a great flag. So does Albania. I'll vote for the one that doesn't disappear against the sky. Albania, that is. Both great flags. When comes down to a tie, always got with the flag with a better national emblem. Turkey. Canada has one national emblem. The UK has three. I'll take the UK over Canada. 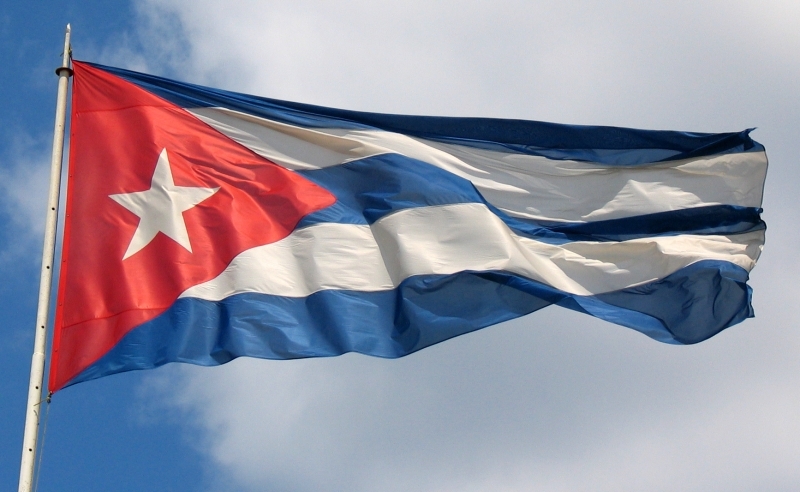 I really like Cuba's flag. A lot. Great spin of red/white/blue. But aside from black/gold, blue/gold has always been my favorite color combination. 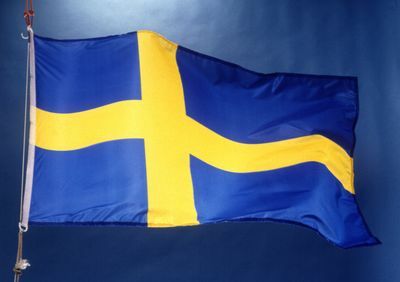 Sweden's flag also looks amazing vertical. Sweden beats Cuba, but by a hair. Via our convenient vote-by-email feature: "Namibia, China, Finland, Japan, Albania, Turkey, UK (how too bad those two had to go head-to-head), Cuba." Some tough pairings already shaping up! LIke the first one, two great designs (in an era (post WWII) that isn't known for great designs), but the Israeli flag conveys a lot more, and represents its state better - there's *no* mistaking what country it stands for! 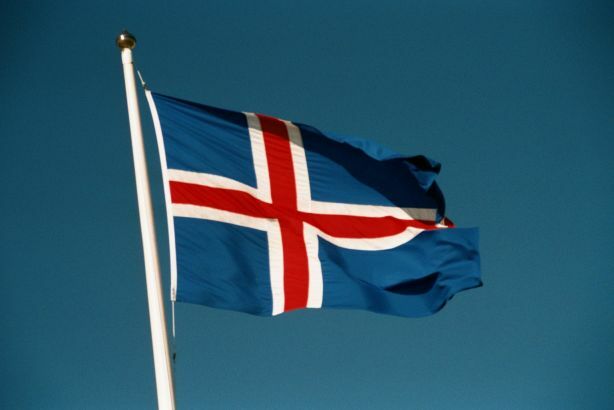 I've always preferred flags that have more white on them, I ahve no idea why, but I've always liked the look of them. Finland it is. A clear choice (it seems that the more dissimilar the countries are that they represent, the easier the choice is) for Japan. Simple, distinctive, lots of white ;) and not a tricolour. Nod in this one goes to Turkey's more distinctive flag. I'll echo my fellow IAT/M5K fans by lamenting how early these two are meeting. 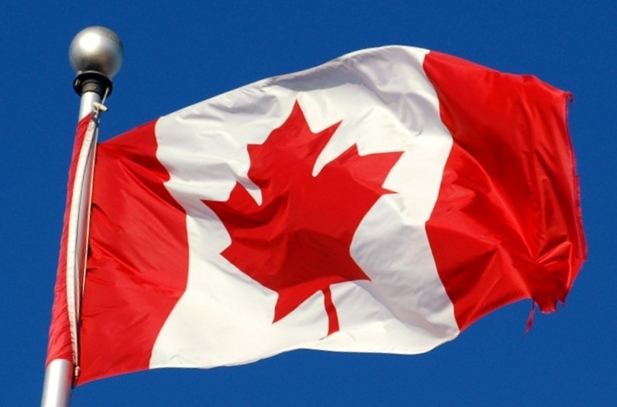 However, being a) a fan of red and white flags b) never that much into the Union Jack (way too busy for me) and am hoping to offset the votes for it, and, most importantly, c) a life-long resident of the Great White North, my vote is for Canada. Hmmm, I just noticed that almost all of the Scandinavian flags made it to the Sweet 16 (and all of them are in the tournament), they must have something going for them! The bright contrast of colours in Sweden push this one over the edge. Israel. Namibia has a nice new flag look, but star over sun. 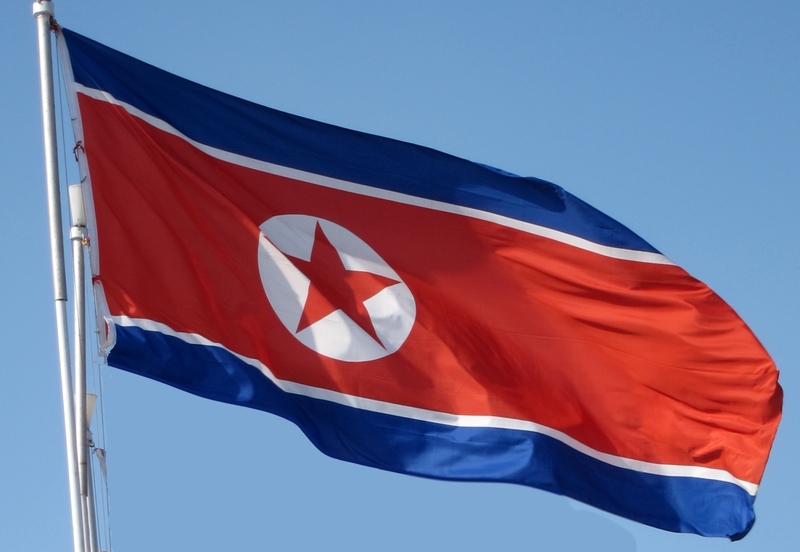 N. Korea: More appealing bold colors over too small stars that get lost. Demark: red and white just slightly more striking on blue sky. Greece. I love the eagle but for same reasons I love UK and USA, I like the busy flag. And for same reason I voted China down, the big red field is hard with another intense color like black. Iceland. I like the tricolor Scandinavians more than the bicolor. Cuba: For some reason I'm grooving on the red white and blue, even though the blue and yellow is great. The more I look at the bracket, my predicted final four is Israel vs. Japan and Greece vs. UK/Canada. So it could be battle of blue and white or battle of red/white. North Korea: Even if part of me hopes China wins. 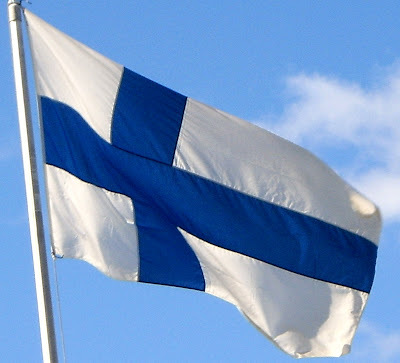 Finland: Although that is a very nice photo of Denmark's flag. Albania: Although Greece's might be technically better, I'm just a sucker for Albania's. Canada: Aw, do I have to pick one over the other? 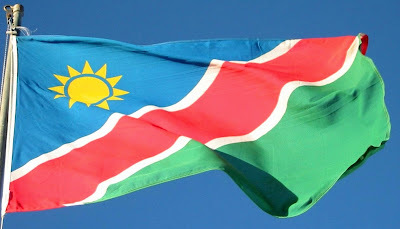 Screw it, I love the Israeli falg, but in my whimsical mood this morning, I'm going to back the cheery pastels of Namibia. North Korea kicks China;s bottom. C'mon the Netherlands, win it for Tricolour fanboys everywhere. 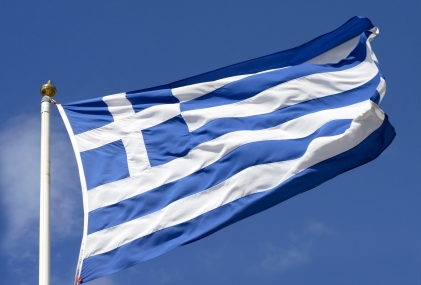 Greece could take that two-headed eagle any day of the week. Fly in the faqce of flag convention and come up a winner, baby. A tough one, but the UK gets my vote. Scandinavia are doing really well, what is this, the orienteering flag championships? C'mon Sweden. @M5K- I think you SHOULD be able to vote! If so, Estonia might not have gotten knocked out in the first round! Your seeding influence is negated by averaging it with Parson's grades. This round does indeed have some real heart-breakers. And some very interesting regional and cultural match-ups. 1. Israel/Namibia One of the few unrelated country matchups, Namibia has a great flag that is going up against the very well deserved #1 seed. Israel has it going on! 2. North Korea/China: The Peoples' Showdown! I like China's colors better, But I am a total sucker for vertically centered hoist-shifted charges. And the fimbriation is nice, and the voided star original. I wish China's charges were bigger. North Korea gets my vote. 3. Finland/Denmark: The battle of the Scandanavian bicolor crosses! I like Finland's overall flag dimensions better, but Norway's thinner cross is more striking. Plus, I usually like more color as opposed to more white. Dannenbrog has it! 4. Japan/Netherlands: "The Battle of the Small Maritime Nations That Were Formerly Huge Empires". The classic dot and the original tricolor. It's hard not to count all the copy-cats against the Netherlands, but nonetheless, it hurts. 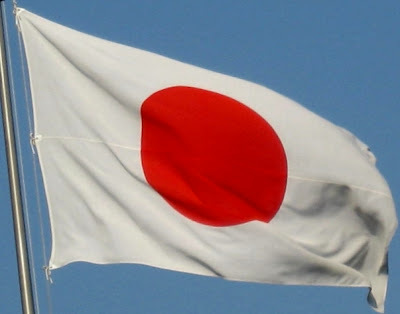 When I was a kid, I would have known Japan's, but not the Netherlands' flag. Japan wins. 6. Iceland/Turkey: Cross v. Crescent/Star. This one pains me. The very best Scandanavian Cross, and the very best Crescent & Star (btw, a shout-out to North Cyprus and (the new flag of) Libya, neither of which got to be in this tourney (I think) - they both have rocking Crescent/star flags) BOTH of these are better than Namibia, Denmark, Finland, Greece, Albania, Japan, Netherlands, Cuba, Sweden, N. Korea, China, and Canada. That's right, only the Union Jack and Israel can compare. I really want to abstain, but feel I ought to vote. 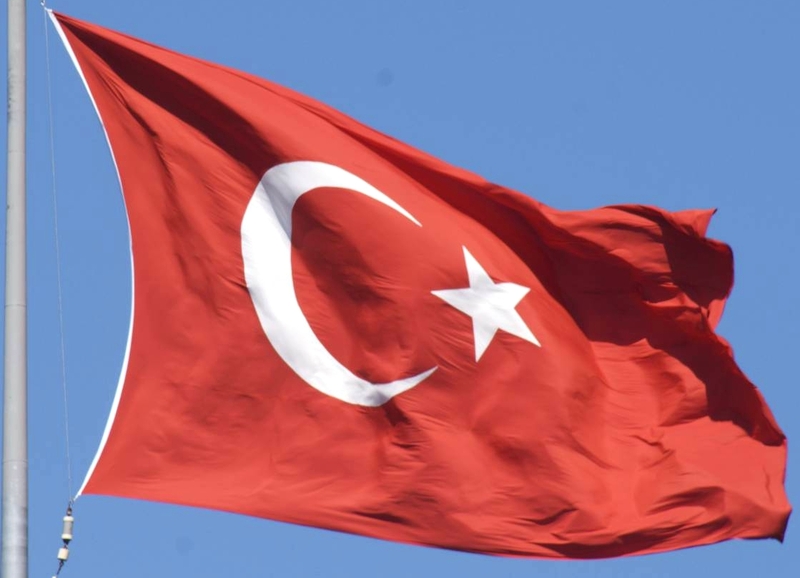 Turkey has a stronger symbol, but isn't as good vertically. Very Very difficult. I think I'm going with Turkey. 7. 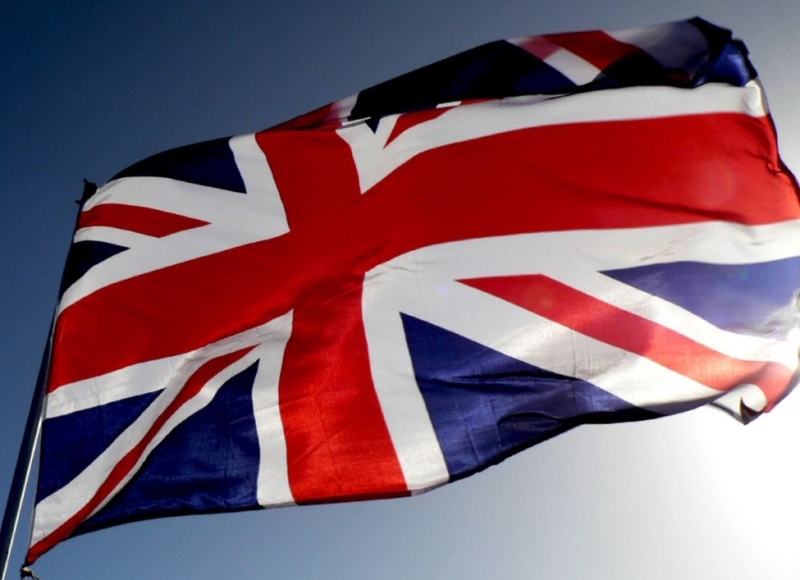 Canada/UK: The Battle for the Royal Flag Warrant? Another sad sad match-up. Sorry Canada, but I think the Union Jack has more pizzaz. I love rotational symmetry, too. 8. Sweden/Cuba: I don't have a good tagline for this one. It's tough, Sweden gets points for simplicity, but I just really like Cuba's take on Red white and blue. Cuba it is.